Making its first appearance at the SIHH 2018 in Geneva, the record-breaking Audemars Piguet Royal Oak RD#2 is the world’s thinnest self-winding perpetual calendar watch. Ong Chin Huat is mesmerised by this beauty’s thin appeal. Debuting at the recent SIHH 2018 held in Geneva in January. 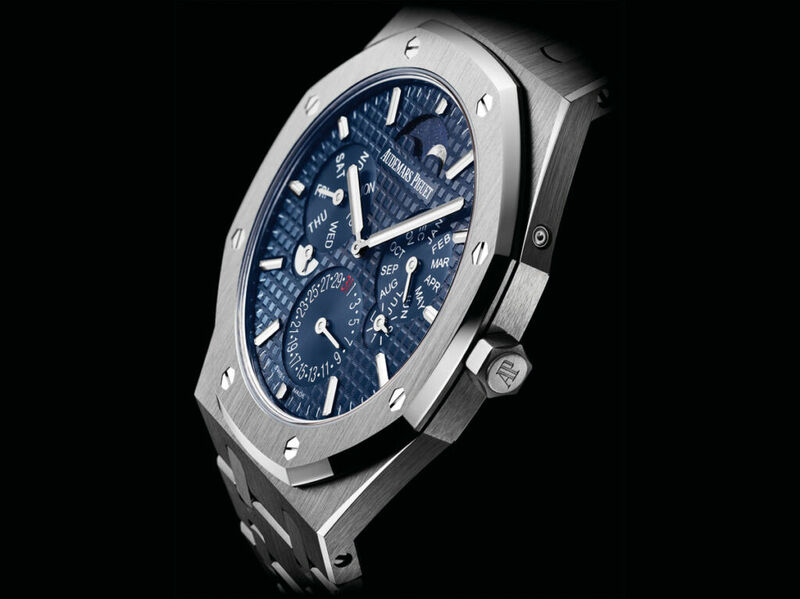 The brand new Royal Oak RD#2 is the newest addition to Audemars Piguet’s highly popular Royal Oak collection. Breaking the mould and shattering its own records. The Royal Oak RD#2 is the world’s thinnest self-winding perpetual calendar. 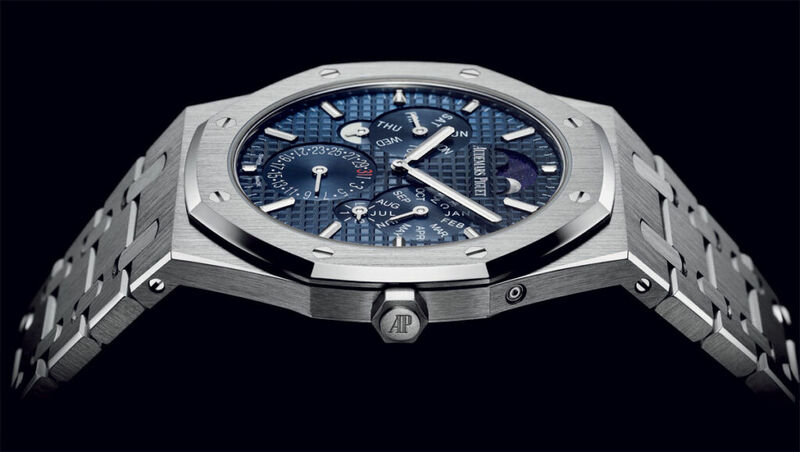 At just 6.30 mm thin, this record-breaker is almost 2 mm less than the Royal Oak Extra-Thin Jumbo. Having taken five years for the luxury Swiss watchmaker to produce the RD#2, admiring glances and gasps of delight were heard echoing the hallowed halls of the SIHH when the watch was examined by watch aficionados and collectors alike. 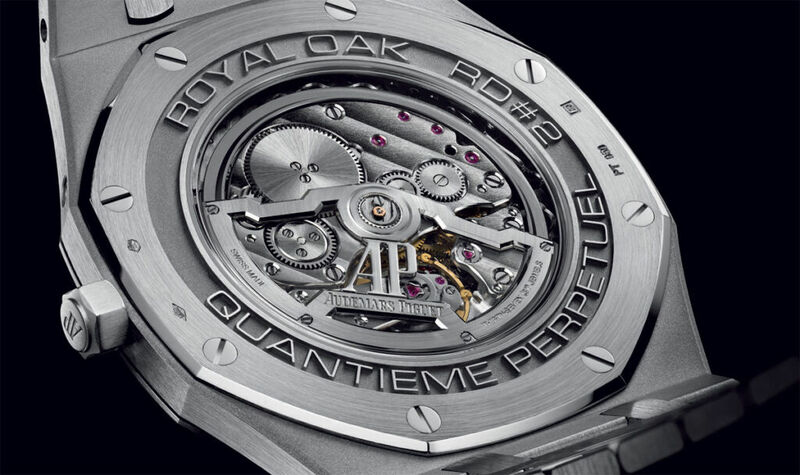 The Royal Oak RD#2 is just the latest in the long line of firsts for Audemars Piguet. This new ultra-thin 5133 calibre with perpetual calendar has a new moon phase located at 12 o’clock on the dial which is a tribute to the company’s first perpetual calendar wristwatch that came out in 1955. In creating this ultra-thin model, the main challenge was to re-engineer the three-story movement into a single level. While combining the various other functions to boost ergonomic efficiency and power. The result is a patented timepiece which features a record-breaking 2.89mm central rotor. With compromising quality, the RD#2 has a 40-hour power reserve and the same frequency of 2.75 Hz or 19,800 vibrations per hour as a calibre 5134. Housed in a 950 platinum case with its distinctive bracelet and an attractive blue “Grande Tapisserie” pattern on its dial. It also has a glare-proof sapphire crystal and case back and is water resistant to 20 meters. With blur counters, white gold applied hour-markers and Royal Oak hands with luminescent coating, this stunner is both light on the hands as it is on the eye.